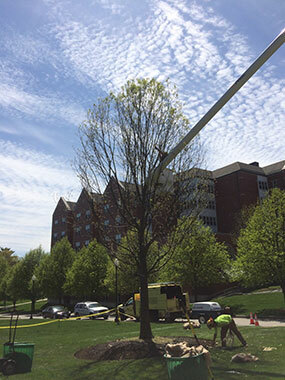 On May 4th, the College planted a new red oak on the Smith Quad. The tree is approximately 25’ tall and is over 30 years old. 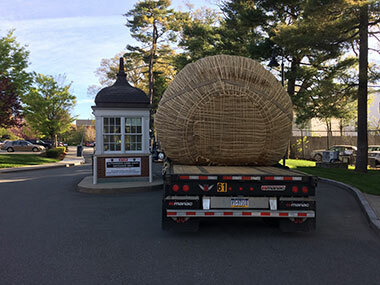 The tree was hand dug and then wrapped in burlap at a nursery in New Jersey. 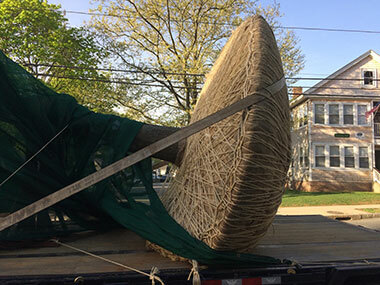 All the intricate weaving on the ball of the tree was done by hand. 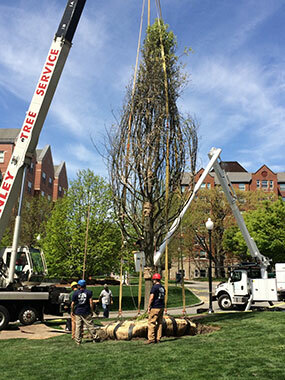 The tree weighed 16,000 pounds and was planted with the use of a crane.